Apropos of the interviews of Anilbaran Roy (1890—1974) with Sri Aurobindo which were published in the online forum of Overman Foundation, we are publishing the conversations of Sri Aurobindo recorded by Anilbaran during his stay in Pondicherry from May to September 1926. The entire set of conversations—which was originally published in the Sri Aurobindo Circle from 1977 to 1986—has been divided into four parts—each part denoting the conversations of a particular month, that is, May-June, July, August and September. We are thankful to Shri Debranjan Chatterjee, Librarian of Sri Aurobindo Ashram Library and Shri Raman Reddy of Sri Aurobindo Ashram Archives and Research Department for helping us to collect these conversations. In the first part of the series, Sri Aurobindo’s conversations of May-June 1926 are published. Disciple: When the Supermind comes down will it have an expression in external life? What will be the form which such external activity will take? What will be the form and nature of the external activities of a superman? Sri Aurobindo: What do you mean by external life? Disciple: We have our sadhana — that is inner activity. Sri Aurobindo: Take cooking, is this external or internal? Disciple: Cooking is external activity. Sri Aurobindo: Then you have taken a wrong attitude. The cooking you do ought to be a part of your sadhana. Certainly when the Supermind is realized in yourself you will have external activities — a Superman is not going to pass his time sitting on an arm chair, meditating on philosophy. But yours is a state of preparation. You will have to make your mind plastic, — your whole being a proper instrument, — so that the higher power may work through you. This is sufficient work for you — this preparation of your mind and being by sadhana. During this time you retain certain external activities as a field of experiment. You do any kind of work, so as to learn to do it in the proper way. In ordinary life, the manner of work is blind and haphazard — there is not the right attitude. When a Yogi works, he works with a deeper consciousness; his hands and fingers move automatically — not as a dead automatic instrument but with a full consciousness behind the automatic activity. A Yogi is not to be a Jack of all trades; everyone has a role to play, and that role is found out with the descent of the higher knowledge. In the meantime we must prepare ourselves in such a manner as to be able to do any kind of work. I prepare fish for the cats because that is an act which comes to my hand and I do it with the right attitude and in the proper manner. I could have blackened your shoes, but that would falsify the relations between you and me — you may misunderstand me. The cats at least do not misunderstand. When the Supermind comes and sets you to work, what form that work will take it is not possible to say from beforehand. There are infinite possibilities, and the Truth-Force will determine the work for each according to his svadharma and according to the development of circumstances. The mind can catch glimpses of the nature of work that will be accomplished, but these can be falsified. I have certain ideas in my mind about the future work but I do not accept them as final. If I communicate these ideas to you, you may misunderstand and misapply them. You may hastily try to execute them and make various mental formations and constructions which may be an impediment to the coming down of the higher Truth. Some years ago, I had certain ideas in my mind about social and economic organization and I gave them to X to be worked out. But his activities have taken such a turn as I cannot approve of now. At that time I was for communism, but now I have no “isms”— the Truth has no “isms” in it. The creations of Truth are very complex, they cannot be stated in any cut and dried formula. Of course there will be some forms, but these will be progressive forms and these forms will vary with varying conditions. Now some say communism is the only right thing, some say democracy. Mahatma speaks of foul-force, Rabindranath of love, the Russians of communism — but Truth is not limited by any of these conceptions. Each of these men has grasped some part of the Truth; in their attempts to express Truth, they build up organizations which are but imperfect expressions of Truth and thus collapse after a short time, giving place to newer forms, newer organizations of expressing the Truth-Force. Of course Truth has infinite possibilities and the earth and mankind are not yet ready for all kinds of manifestation. There are stages in the manifestation of the Truth. The very gods will come down on the earth but if the attempt is made now the physical earth and the whole structure of humanity will break down. Yet, a beginning is going to be made, and we must keep our mind free and plastic so that we may be the proper instruments of working that out. We should reject the constructions of the mind. The constructions of the mind, the plans and forms evolved by the physical mind are an obstacle, an impediment to the workings of Truth. Observe the forces that are at work, study the mistakes committed in life and find out the Truth behind them but do not form plans; leave it to the higher power to organize and effectuate the work that has to be done. All political leaders, all workers in the active field, ought to have an open and plastic mind — not to have plans and programmes fixed for all time. Of course the purpose must be fixed, there should be an unalterable purpose before you. But as to the means and methods of achieving that purpose, you must always be ready to change and modify them according as developments arise. The question betrays impatience — it arises from the vital being. I myself am not sure as to the form my work should take, though I have some ideas within me. I am constitutionally an anarchist and a communist and try to form plans according to my bent and this has become an obstacle to the real Truth-Force organizing its work. So I keep these in check. There may be forms and moulds prepared in the minds for verification for application if proper conditions are forthcoming, but these are never to be taken as final. I have not yet got the whole plan to be worked out, otherwise I would myself have given that to you. I am perfecting my ideas within and people misunderstand me saying that I am doing nothing. I do not mind at all what the outside world says of me — I have my own work to do, and I am doing that. What I want from outside world is only a few lacs of rupees (laughter). In the meantime you have plenty of work in the shape of preparing yourself for the task that may be demanded of you. That India will be liberated, there is absolutely no doubt about that, but for the mere liberation of India Yogins or Supermen are not needed. Ordinary men by ordinary methods can bring about the freedom of India — let them achieve that by any means or plans they like. I will have no objection. If the people of India are not absolutely doomed, they will certainly make themselves free and I am sure India is not destined for destruction. But within what time India will be free or whether India will be freed suddenly or by partial stages — these are questions which cannot be definitely answered. A worker must have plans but it is not necessary that the whole plan must be given out at once. I do not believe with Gandhi that there should not be any secrecy. Only that part of the plan which is fit for materialization is to be given out, otherwise there will be endless futile discussion and the opposing forces will be forewarned. Sri Aurobindo: Gandhi made a confusion when he sought to gain the Mahomedans by helping them in the Khilafat movement. There was some sort of plan constructed by his mind, but it has proved to be a mistake. The nature of the Mahomedans has to be changed; their spirit is more communal than national; they feel more for Islamic brotherhood than for Indian solidarity. The Khilafat agitation gave nourishment to this wrong mentality of the Mahomedans and the result has been disastrous. It required no super-mind, but ordinary common sense ought to have told us not to help the Khilafat movement. But some mental obsession confused Gandhi and his followers. Gandhi took no account of facts, ignored the nature of the Mahomedans, formed in his own mind a scheme of Hindu-Muslim unity and thrust it on the country without having regard to the existing circumstances. Sri Aurobindo: We must reject all formed ideas and samskāras — all forms we have received from our parents, from our past life and so forth. Thus our likes and dislikes are only matters of habit; these habits can be overcome. What appears to be offensive to you, you will learn to take from that even what that has to give. I have no likes and dislikes — from everything I can take the essence, the rasa. Disciple: In eating a long green plantain I suffer from biliousness and cough. Mr. N. says I have got to throw out that idea from my mind that it will produce biliousness and cough and then go on eating it. Is it this fixed idea or samskāra in the mind which is responsible for this disorder or there is something intrinsic in the plantain itself? Disciple: What is the vital form of the Asuras? Sri Aurobindo: The Asuras are beings of the mental plane; they act upon men through their mental forms and constructions and their egoism. Men form ideas in their mind and accept them as truth; they form all sorts of plans and projects impelled by ignorance and egoism, this is where the Asuras find a scope in their play with man. The Asuras are of a higher order of being than the Rakshasas and Pishachas — these latter are beings of the vital plane. There is some light and self-control — however imperfect and incomplete — in the Asuric activities. But the Rakshasas play on blind desires and dark passions, unbridled and unrestrained. The beings working in the physical plane are very obscure and of lower order and it is difficult to bring them under a type and a name. Perhaps the Bhutas (ghosts) belong to this sphere. The Asuras and Rakshasas can be classified into clear types according to their nature, but men are mixtures of Asuric, Rakshasic and divine characteristics. Disciple: What are the beings which cause disease? Are there individual beings representing individual diseases? Sri Aurobindo: No, there are no individual personalities for diseases. The darker forces such as the Rakshasas may find work in the diseases of men. Disciple: What is the relation between the health of a man and the observance of the laws of nature? Sri Aurobindo: What are the laws of nature? Have they been ascertained? Do men in diseases go against the law of nature? Disciple: Suppose a man observes the laws of hygiene — will he not keep in good health? Sri Aurobindo: The laws of hygiene are more or less artificial rules and they do not take us very far. A man apparently healthy often breaks down under unexpected attacks, while a man in poor health lives through many vicissitudes. All that can be said is that a vigorous life in fresh open air is congenial to health and longevity. Disciple: What is it that really helps the man to keep good health? Sri Aurobindo: Diseases are attacks on the vital being. For every individual there is a sort of balance between his vital being and the external forces; if he can keep this balance he keeps in good health. The body is in a way conscious of this balance and if left to itself is likely to adjust itself to circumstances, but generally this body-consciousness is disturbed and obscured by mental ideas and forms. We have formed many habits and samskāras which are responsible for many of our bodily ills. Disciple: Is this body-consciousness a sort of an instinct? Sri Aurobindo: Yes, the instinct is much stronger in animals. In man it has been hampered by artificial rules and habits. But one can become fully conscious of this vital balance and then he can consciously maintain himself in good health. Sometimes, even through blunders and mistakes man can accidentally stumble on the vital balance and then he has a fair chance of a long life. Disciple: Is this instinct very strong in animals? Sri Aurobindo: They also commit mistakes, which arise from circumstances. When an animal is very hungry it will eat food which it rejects in normal circumstances. Disciple: We desire certain kinds of food while we dislike others. Are these desires safe guides? Sri Aurobindo: The desires come from the vital being and they demand satisfaction irrespective of the well-being of the body. The body-consciousness referred to by me is not desire but an awareness of the needs of the body. 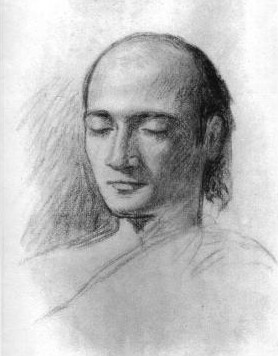 A man who has this consciousness will not take any food because he feels a hankering after it nor will he reject a food because he dislikes it — after all likes and dislikes are mostly matters of habit and samskāra — but he selects food which he perceives to be necessary for the maintenance of the body, śarīra dhārana. Disciple: Is food absolutely necessary for the body? Sri Aurobindo: What is necessary for life is vital force. There is an inexhaustible store of vital force in the universe and one can draw any amount of vital force direct from the universe. Disciple: Is it not more difficult to take vital force directly from the universal energy than to take it through some kind of food? Sri Aurobindo: For me the former is easier. I can draw as much vital force from the universe as I require. In jail I fasted for ten days. I slept on every third night. At the end of the tenth day I felt much stronger. I could lift weight which I could not lift before. But I lost 11 lbs. in weight. This waste of the purely material substance of the body could not be prevented. Once again I fasted for 23 days when living at Chetty’s house. I felt no weakness, I did eight hours work, walked in my room, slept normally and after my 23 days’ fast I began at once to take food normally without making small beginnings. I had not lost my balance in the least. I drew sufficient vital force from the universal energy to keep my strength intact, but my flesh shrivelled up and this waste of the purely physical substance I could not make up, hence the necessity of taking some material food. Disciple: Is it not possible to overcome this physical need? Sri Aurobindo: Yes, possible — but I was not able to do that at that stage of my sadhana. Disciple: Is sleep to be reduced when one fasts? Sri Aurobindo: I slept normally during my second fast. But during the previous fast in jail I had to bear a great pressure of sadhana — hence I had to do without much sleep. Sri Aurobindo evinced great interest in the story of a sadhu who is said to have been a young man at the time of the battle of Plassey. The man is said to have changed his body, having left his former body of an East Bengal man and entered the body of a Tibetan Lama. Sri Aurobindo said that in this manner one can go on living indefinitely. He also evinced great interest in the story about the Tibetan Lama. Sri Aurobindo came out with a magazine…devoted to spiritual matters, issued by… He read a brief outline of the…system—how the Yogis establish a connection with the cosmic energy which is expected to give them perfection, physical, mental and spiritual. He read some advertisements of the books on Yogic practice etc. issued by the School. The advertisements were very ably written to attract customers, and in reply to a remark Sri Aurobindo said that it is the atmosphere of America from which they have imbibed this spirit of business. This Yoga, he said, is nothing but a system which breaks down certain barriers and makes one open to the vital forces. The forces of the vital plane give them various sorts of success and they mistake those forces for something higher. It is “success” which checks their further advance, and they cannot rise to higher possibilities. A similar thing happened in the case of R and V. They were progressing spiritually until success came to V— that was a test for their sadhana. When vital forces cannot turn sadhaks from the upward path, they give them success and thus win them over. Christ was offered success — possession of the world’s wealth and empires; he resisted but Christianity has not be able to resist the temptation of success. We must always be on our guard. We must not allow ourselves to be impatient of success, to fret under failure. We must absolutely turn our face against all the advances of the lower forces. Men get certain truths and ideas from above and they think that they have got the whole thing, and then their further progress ceases. Christ stopped with Love, Buddha with Nirvana. What happens in most cases of sadhana is that some ideas, inspirations come from above, some truth descends and it acts upon the whole being — the mental, the vital, the physical. Now if these beings are not pure, they will betray, they will mix the truth with their own impure elements; they may achieve some apparent success but that will be neither complete nor permanent. That is the reason why I have resolutely abstained from beginning work — the whole being in me must be purified and transformed so that nothing in me may betray the true inspiration when it comes from above. The supramental must be brought down to the lowest plane of our existence and this must be made conscious. The power of the supramental which is needed to transform the vital being is higher than that needed to transform the mental being; similarly the power needed for the physical is higher than that needed for the vital. Sri Aurobindo said to this effect that he is not doing his sadhana for his individual Mukti [salvation]. He wants to bring down the Supermind into himself, as well as in others. As the number of these supermen will gradually increase, the play of the lower forces in the world will be checked and gradually eliminated. These lower forces have all along undone the life’s work of various sadhaks. Sri Aurobindo wants that his work may not be undone in that manner. Hence he is going on perfecting himself, so that when he begins work, it may be infallible and the results may be lasting and permanent. It is with this resolution that he has been resisting the call to work. He would have stopped Yoga ere long if he could. Disciple: What is the difference between the psychic being and the spiritual being? Sri Aurobindo: The spiritual being is God himself. The psychic being is the inner being behind the body, life and mind in man — it is what is called the Soul in European philosophy. Disciple: Is the psychic being the same as the Jiva? Sri Aurobindo: No, the Jiva, the individual being is behind the psychic. The psychic being rather represents the Jiva. It is this psychic nature in man, which readily responds to higher truth. Disciple: We distinguish between a lower nature and a higher nature. Is this higher nature the same thing as the psychic nature? Sri Aurobindo: No. The higher nature is the nature of the Sachchidananda. There are the lower planes of consciousness — physical, vital, mental — and there are the higher planes. The psychic comes in between them. It is through the psychic consciousness that we rise to the higher planes. Disciple: Is suffering a necessary condition of spiritual awakening? Sri Aurobindo: No. There are certain religions such as Christianity which regard suffering as a part of sadhana — but this is not right. Disciple: Does not suffering bring in purification? Sri Aurobindo: Not always. Suffering is an obstacle — it may help only as an obstacle helps. Spiritual asceticism is quite different from moral asceticism. Disciple: Ordinary people have always confused the two and taken moral asceticism and physical renunciation as the indications of a spiritual life. Sri Aurobindo: This has not always been the case. It is due to the influence of Christianity, Brahminism etc. that people have come to have these wrong notions about spirituality. This has begun after the advent of the Europeans. Disciple: Buddhism also contributed to this false notion. Sri Aurobindo: The Buddhistic idea of morality was different from the European idea. Disciple: People regard Gandhi as a greatly spiritual man. Sri Aurobindo: That is a mistake — Gandhi is moral, not spiritual. He has a strong moral will. When it is said that Gandhi is a greater Christian than many a European, that statement is perfectly true. Gandhi is a Christian. He has been influenced more by the Bible and Tolstoy than by the Bhagavadgita and he interprets the Gita in that light. He is really a European under an Indian skin. Disciple: What is European in him? Sri Aurobindo: He has everything European. His moral ideas, religious ideas — they are all Europeans, especially of the Russian type. The cult of suffering preached by Gandhi is taken directly from the Russians. This is a teaching of Christianity, but only the Russian masses have accepted this teaching in their life. Disciple: Has it affected Bolshevism even? Sri Aurobindo: Bolshevism is a revolt. Disciple: Suffering makes one dry. Sri Aurobindo: The Russians have a sort of intellectual passion, emotion, which makes them less dry than Gandhi. Disciple: If Gandhi is influenced by the European mentality, how the European spirit of industrialism has not affected him? How has he caught hold of the Charkha? Sri Aurobindo: In Europe there are movements for simple life and handicrafts. Disciple: Many Indian people have been influenced by the European spirit? Sri Aurobindo: All have been influenced. See politics in India — the method and outlook is wholly European. Disciple: Were there ever politicians in India? Sri Aurobindo: What! India had no politicians! Was not Shivaji a politician? Disciple: What is the essential difference in outlook between Indian politics and European politics? Sri Aurobindo: That is a big question and cannot be answered in five minutes. Disciple: Do you think that the atmosphere in India is more congenial to spiritual life than that in any other country? Sri Aurobindo: That is a fact. Disciple: What is the reason? Sri Aurobindo: The reason is the spiritual sadhana carried on in India for the last four thousand years. Other countries also have a spiritual past, but they lost it, though they are again coming back to it. But in India the sadhana has gone on continuously. This does not mean that all men in India are spiritual, or that there are not spiritual men in other countries. What is meant is that in India one can more easily take up the spiritual life. Disciple: Can the difficulties in the path be more easily overcome in India? Sri Aurobindo: That is not the case. For example, the Mayavada is very difficult to be got over in India. Sri Aurobindo: The best method of getting rid of any impurity in the lower being is to hold it up before the higher power. Then the defect is seen in its proper light — then is seen the real source of it in the supramental, which has been disfigured and misrepresented in the lower being. The seed of everything in our life is in the supramental which may be called the kārana śarīra (?). What seems to be false and imperfect in the lower plane of consciousness is seen in its truth and perfection in the supramental and this is the proper method of eliminating imperfections and impurities. Sri Aurobindo: When Yoga was first suggested to me I did not readily accept it, as at that time my idea was that Yoga takes one away from life and work and I was aspiring to bring about the liberation of my country. About two years before I met Lele, I began Yogic practice, as I expected that Yoga gives extraordinary powers. Thus I came to Yoga as an arthārthī, my object being the service of my country and humanity. But all that has changed in the course of time. Disciple: Is the psychic being referred to as Agni in the Vedas? Sri Aurobindo: Yes, it is the inner Agni, the priest, purohita, who brings down the real God. Disciple: What is the secret of Gandhi’s great influence on the people during the non-cooperation movement? Sri Aurobindo: By the force of his moral will he could do much. His ascetic simple life drew admiration. The circumstances were very favourable — India was ready for a great movement. Gandhi has been called a new Christ — there is much truth in this statement. He is not a new Christ, but a prolongation of the old one. But in politics, he is not fit to be a leader; he can at least be a good lieutenant as men like K are, and carry on successfully such movements as the Kerala Satyagraha movement. Sri Aurobindo: The other day you said that suffering purifies — how? Disciple: Suffering emphasizes the distinction between self and not self and brings detachment. Sri Aurobindo: Suffering itself does not bring detachment. The purifying effect of suffering depends not on itself but on something behind — the power to see. When suffering awakens one to a sense of the imperfections of the lower nature and impels him to rise above it then it purifies. Disciple: Is not suffering a necessary element, an indispensable part of sadhana? Sri Aurobindo: Certainly not. It is an imperfection due to ignorance which has to be overcome. Disciple: There are devotees who regard all sufferings as coming from God and they accept them without a murmur. Sri Aurobindo: Sin also comes from God then — should you accept it? If you welcome suffering, you will never get out of it. Disciple: Rabindranath has sung that suffering reminds him of God. Sri Aurobindo: Rabindranath has a curious blend of sentiments which are partly true and partly false. There are many criminals suffering in jail; suffering instead of purifying them or bringing them towards God, rather degrades them. Disciple: Christian mystics say that suffering can be transmuted into Ananda. Sri Aurobindo: The movement of the Divine Ananda is not in the terms of joy and suffering, just as the movement of the divine power is not in the terms of good and evil. Disciple: Why did God create suffering? Sri Aurobindo: This is the plan of the world and of evolution in it. But why He made this plan and not any other cannot be answered. God is not like a man and His works cannot be judged by human standards. In the infinite there are infinite possibilities — all possibilities will be realized. The present plan is one of the infinite possibilities. God brings forth inconscient existence, and by pressing upon it gradually evolves life, mind and different grades of consciousness out of that inconscient existence until the consciousness reaches the highest level. Sri Aurobindo: The story of Christ’s visit to India was invented by some Russians. The very existence of Christ is questioned by some scholars. There might have been a man called Christ, and all the traditions regarding him may not be true of him historically but have been eventually attributed to him, just as many contend that all the teachings of Buddhism were not taught by Buddha. But it is immaterial whether there was actually ever a Christ exactly as he is regarded by the Christians. All the same, the idea of Christ is a living one — it has assumed a force in the psychic plane and has been wielding great influence over mankind. The character of Rama may not be historical — there is no historical proof about him. Rama and Sita symbolize the Sun and the Earth respectively in the Vedas. All the same they represent true ideals in life and have very real influence on mankind. Sri Aurobindo: Suffering is due only to our weakness and imperfection. When external forces affect us, if we have acquired sufficient strength to assimilate them, we derive joy from them, otherwise they produce pain. Sri Aurobindo: The suffering inflicted on the body in Indian asceticism and ascetic worship was intended to check the clamour of the senses—to rise above the calls of the flesh. In Christianity the idea is different; there suffering is a sort of a price to be paid for the happiness that is to be obtained hereafter. Disciple: Is there a distinction between higher gods and lower gods? Sri Aurobindo: Yes, they are separate classes. The gods represent forces of immortality. As a matter of fact, the gods are in a way beings similar to the Rakshasas and Asuras — they are all tendencies in the cosmic movement. The gods work for light, harmony, straightness in the cosmic movement, while the Rakshasas and the Asuras work for crookedness, for perversion. The gods, from their nature help the upward evolution, the other retard it. Of course all are derived from the Supreme Power. Disciple: What exactly constitutes the personality of these non-human beings? Have they got a soul? Sri Aurobindo: We must understand what we mean by a soul. In a sense every being has got a soul. Disciple: What is the distinction between men and those beings in the constitution of their personality? Sri Aurobindo: They are free forces; men are confined, embodied beings. Men are rather fields where the different forces of the universe have a play. They want to catch hold of men and play through them as in this they get pleasure. Disciple: When do the Rakshasas and Asuras get a chance of exploiting men? Sri Aurobindo: When men open themselves to their influence. If we indulge ourselves to any great extent in ambition, lust, greed etc. they get a chance of establishing their sway over us. When groups of persons begin sadhana, all these forces gather round them and try to find out some hole or weak points through which they may enter and frustrate the sadhana which tends to take these men away from the influence of these lower forces. Disciple: How are these beings affected by the sadhana or tapasya of men? Sri Aurobindo: They enjoy by associating with men. Disciple: Have these beings any progress or evolution? Sri Aurobindo: They may be changed into some other being but not by stages of evolution through which man has to pass. When they open themselves to the higher power, make themselves servants of the higher will, they may be transformed. Some say that they incarnate themselves as men in order to do sadhana and attain salvation; thus there is the view that Asuras attain salvation by dying in the hands of God. I cannot say why such a view is held and what truth there is in it. But these beings as they are, can be known very well,— their natures and different kinds of play can be easily discerned. Disciple: Do the gods you speak of correspond to the Vedic or Puranic gods? Sri Aurobindo: No, I do not refer to those conceptions about gods. What I refer to are forces in the world who take part in the cosmic movement. (All movement is between soul and nature.) The Vedic gods represented different aspects of the Supreme Power—the Supreme Deity. All the different manifestations of this Power from the lowest to the highest levels have been symbolically represented as gods in the Veda. Thus Agni represents the psychic being in man, but it is spoken of as being the same as the highest god also. The Puranic gods are minor deities. Sri Aurobindo: Modern Europe is now in the grip of vital forces; if you look into society there you will find how corrupted and rotten it is. The mad rush for power, wealth, possession, the huge conflicts; all these are indications of the play of the vital forces. Disciple: Does not the condition of India, degenerated as the people are, offer a suitable field for the vital forces? Disciple: I mean, centuries of slavery must have brought weakness and degeneration. Sri Aurobindo: But there is very little here which vital forces can enjoy — except the Hindu-Muslim riots and such other things which they certainly do. But India can offer these vital forces nothing on such a big scale as Europe. Sri Aurobindo: The great War offered a sumptuous feast to vital forces. As I have often said, when the higher truth tends to come down, there is a great pressure put on the vital play of this world and there arises a stern conflict between these lower forces and the higher truth. If the lower forces succeed there is a cataclysm, humanity goes back to barbarism and has to begin the march anew. If the higher forces succeed a newer and better condition of the world is evolved. Generally, it is the vital forces that win. Sri Aurobindo: What do you mean by Indian politics? Disciple: Politics as it is being carried on in India at the present time? Sri Aurobindo: Present politics in India is not essentially different from, it is rather an imperfect imitation of, European politics. The modern Indian politicians readily adopt catchwords and intellectual ideas from Europe and without reference to their own life and genius they try to introduce them into the country. Sometimes it is Democracy, sometimes Bolshevism, sometimes Fascism. Europe does not seem to have made any real progress with the help of these ideas. Is it worth while for the Indians to give up their own svadharma in pursuit of these alien foreign ideals? Then our politicians have adopted the whole machinery of European politics — e.g. the press, the platform, the Congress organization; specially they have adopted the British methods. Propaganda and public agitation has its use in England, where the voters determine the policy of the Government, but in India it is meaningless. The only thing Indian in the present political movement is the demand for freedom. Instead of frittering away energy in useless imitations of foreign methods the people of the country should be organized for freedom. Disciple: What is the essential nature of real Indian politics? Sri Aurobindo: You ask me to epitomize my Defence of Indian Culture. European politics (as it is now — not medieval European) has three essential characteristics. First, they form some intellectual ideas about the organization of government and society, and they think that if everything can be made to fit to those ideas, there will be perfection and harmony. These ideas change from time to time — it is aristocracy, or democracy, or monarchy, or republic, or socialism, bolshevism, fascism and so forth. The more they fail in the application of these ideas, the more they cling to them and try to force to fit all circumstances to those ideas — until the whole artificial arrangement crashes down giving place to some other new idea. The second characteristic of European politics is interest. It is interest which gives real force to those intellectual ideas — it is the interest of some particular class or group which determines all political organizations and activities. Sometimes it was the interest of the aristocrats; then it was the interest of the middle class (which produced the so-called democracy); now it is the interest of the proletariat or the mass which is seeking to rule society. The third characteristic is machinery. The Europeans depend on mechanical organization and think that all their troubles and difficulties will disappear if only they can perfect the machinery of government or society. The genius of India was quite different. She depended more on life than on machines. The conception of life adopted by the ancient Indian politicians was to allow the free growth of life in all sorts of autonomous centres. They had machinery, organization, but the mechanical part of it was secondary, subordinate; the principle of life, the svadharma of every group or centre was the primary thing. Thus there were the village centres, the town centres, all with their own assemblies of elected members, their own laws suitable to their peculiar needs and conditions. There were similar other groups, the clan, the family, the caste guilds, the religious sanghas — each developed life in its own way without trying to thrust its law or dharma on others. Thus the whole country pulsated with life; a mechanical set organization or rule from above did not hamper their free growth. Then, there was the idea of function, dharma. Every centre, every group had a function to fulfil, a dharma, and the conditions were sought to be made favourable for the fulfilment of this dharma by all. The most difficult thing, however, was to harmonize these various kinds of autonomous centres so that they might not conflict with each other. This task was left to the Raja, i.e. the central government. This government did not seek to thrust its own law, its own ideas, upon the whole people; it allowed the people to grow in their own way. It only held the power to remove the conflict and friction between the different centres of life and evolve a harmonious whole out of these numerous autonomous centres of life. This was sought to be done by boards with a minister at the head of each, every board being responsible for a particular department. No department of life was left out. This was a sort of bureaucratic organization. The first historical empire, that of Chandragupta, was organized on these principles, and the main structure, though it has deteriorated in many respects, has lasted to the present day. That must have been a very remarkable construction which lasted for two thousand years through all vicissitudes. The Guptas continued the system which was afterwards taken up by the Moghul emperors who placed the central Asiatic stamp on it. The idea of the absolute monarch was unknown in India, it was brought by the Mahomedans. Thus Buddha’s father was not a king but only an elected president. After the Moghuls, the British took up the frame which has lasted for all these years. It is for this reason that foreign ideas, foreign institutions are not fitting in with the life of the people in whose subconsciousness there remain the essentials of ancient Indian organization. The ancient organization failed for two reasons — partly because the country was too vast and the means of communication were very primitive. With modern systems of communication, with railways and telegraphs, the Indian organization could have lasted and developed. Its fall was partly due also to the decline in the vitality in the people. How this decline came cannot be explained but it was a fact. Up to the Mahomedan invasion, the Indians assimilated everything that came from the outside — i.e., they took up whatever was good in the Greeks and the Persians and turned them into something Indian. But the Mahomedans were too hard for them and could not be assimilated. There occurred a mental union, but the fundamental assimilation was not there. If the mental union had lasted under the auspices of emperors like Akber, the essential unity might have been achieved by this time; but that union received too many shocks. The Hindus are always tolerant, they are always ready to take the Mahomedans, but the Mahomedans are intolerant and refuse to be assimilated. Unfortunately, this intolerance of the Mahomedans shows no sign of decrease. Disciple: Was not the want of national consciousness in ancient India the main cause of its being conquered by foreign conquerors? Sri Aurobindo: There was certainly no national ideal in India as it is understood at present. They were moved mainly by the conceptions of culture, religion and so forth. They resisted foreign invaders, as they came with alien culture and religion. But the function of defending the country was left in the hands of the ruling class. There was no such thing as nation-in-arms. When the empire was strong it resisted foreign invasion. When the central government became weak, the country fell an easy prey to foreigners. Disciple: Some say that the system of village communes acted against the function of national consciousness. Sri Aurobindo: That is cant. The central authority did not sufficiently take in the villages. The village organizations were conductive to the growth of the people; if the central government could sufficiently organize these centres of life, the nation could be mightily strong. Sri Aurobindo: The English say that they have kept intact all the ancient institutions. As a matter of fact, they have been destroying everything and thrusting their own institutions everywhere, e.g. the municipalities, district boards etc. As it is, they are serving the purpose of clearing the rubbish, so that in proper time, newer forms of living organizations may flourish. Sri Aurobindo: The modern nationalism has arisen in countries which are small and separate like England and Japan — the people there can become easily united and solidified. In bigger countries like France, Germany, and Italy, the idea, the development of nationalism was due to foreign invasion. Thus when the English first invaded France they found many allies there; gradually the necessity of defence moulded the people into a nation. Disciple: Is it not a fact that France developed nationalism when under Napoleon it became aggressive? Sri Aurobindo: No, much before that nationalism began to grow in France. It was at the time of Joan of Arc. Disciple: Is it not necessary that nationalism should grow in every country? Sri Aurobindo: If the nations continue to be inimical to each other, they must organize the whole people with the idea of defence but that must be at the cost of free growth of life. A new idea has arisen — internationalism. But it will not succeed as long as the mentality responsible for nationalism lasts. But the mentality need not last, it may change. The diary notes begin with these lines from the pen of Anilbaran Roy. Please send some more conversations with Sri Aurobindo. Thought provoking & internalizing, deeply rooted. Awakening intuitive mind needed. Keep continue with more conversations. Tthis interview truely reveals the thoughts of Sri Aurobino. Though, strictly speaking, I am not follower of Sri Auobindo but am greatly influenced by the way he has amalgamated philosophy, pschology and science into spirituality on one hand and sociology, religion and nationalism on the other hand particularly at macro level in his spiritual thoughts. I feel convinced that while pursuing my studies in application of Quantum Physics, Non-local Reality and Genetics I must have further in-depth understanding of Sri Aurobindo’s thoughts. Any ideas as to who that East Bengal Sadhu was and which Tibetan Lama he entered? That could give us some clues or insights. Thanks a lot Sandeep. Could you tell me where you got that information? I was unable to find out much about these two gentlemen especially the former. I would be much obliged if you could provide me with the source of your information. Thanks. From an old Sadhak. What does it matter who the names of these people are ? They lived and died 2 centuries ago.